Happy Holidays from the Kentucky Folklife Program! A reminder that Western Kentucky University's campus will be closed from Monday, December 17, 2018 through Tuesday, January 1, 2019. 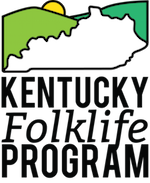 The Kentucky Folklife Program will also be closed at this time. Have a wonderful holiday season and we'll see you in the new year! Happy New Year! Today is Juneteenth, a day for commemorating the ending of slavery in the US. In Bowling Green, Kentucky, the George Washington Carver Center celebrated over the weekend with a fish fry. Our Folklife Specialist, Virginia, found a little Kentucky at a Portland, Oregon farmer's market, where a booth was selling "Kentucky Colonel Mint." Even folks in Portland know you need to have fresh mint for those juleps on Derby Day! Have fun celebrating tomorrow! It's that time of year! Is anyone out there big into mushroom hunting? Photograph via @bigswitchfarm (from Instagram).